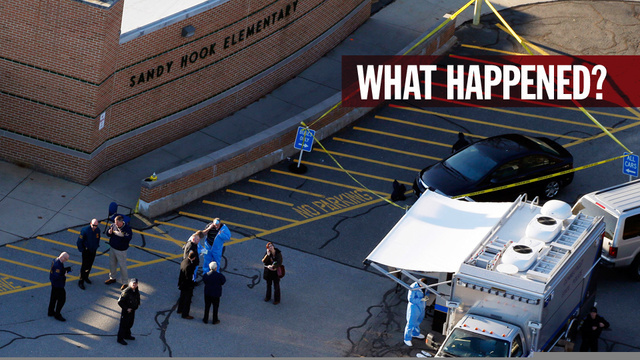 Adam, who recently committed mass killings at the elementary school in Newton, Connecticut, USA lived in two worlds, one real and the other make-believe. His mind, a rather brilliant mind, switched back and forth making him believe that he belonged fully to neither world. He distanced himself. He believed and cared for no one. Fantasy was rich. Adam spent an inordinate amount of time playing video games. He had a factious relationship with his mother and often pictured her dead. She was a gun enthusiast, had introduced him to guns, and provided him easy access to firearms. So, she was the first person he shot and killed. Then, he went to school. He had already made a premeditated decision to kill en masse. Determined and obsessive, he shot and killed more than two dozen people, mostly children. His conscience was clear. There was no sense of guilt, remorse or shame, and certainly no compassion. His heart of stone was moved as much as if he were swatting flies, but the high was infectious, a dizzying thrill, like that of an arsonist watching his fire. When the police closed in on him, the fog in his brain began to lift. He, suddenly, felt self-conscious and overwhelming self-pity. Cornered, he was in a different world, too real for comfort. Reality testing flickered through his mind and told him that he will pay dearly for these killings. At that moment, Adam was very frightened. He felt a chill rush through his spine. “There is one way to escape this reality,” he thought. So, Adam shot himself, bringing the total number of deaths to twenty-eight. Whatever killed Adam and his victims, like a cancer, developed over many years. And like a cancer, a good diagnostician might have identified the factors contributing to the malady that killed so many. If treated early, doctors might have removed the malignancy and thereby stopped the metastasis to vital organs. The question, though, is: how can modern medicine be preventative and help people like Adam? Certainly, it is not the norm to be a killer. It is maladaptive but, by definition, is it a mental illness? Western medicine says, “No!” Moreover, Dr. Paul Appelbaum, past President of the American Psychiatric Association, says, “the overall contribution of people with mental illness to violence in our society as a whole is quite small.” If the truth be known, the mentally ill are more often the victim than the perpetrator of violence. Regardless of whether the perpetrator is mentally ill or not, medical literature reports a wide gamut of risk factors for violence and dangerousness, including a history of violence and dangerousness. Socio-demographic factors like age and gender suggest that young males are at-risk more often than others. Socio-economic factors pinpoint the greatest risk among the poor. Recent, (within a year) factors such as unemployment, divorce, separation and any personal crisis involving loss tend to be risk factors. The lack of effective parenting creates at-risk children, prone to violence and dangerousness. Effective parenting requires appropriate guidance, monitoring, supervision and discipline of children and teenagers. Early exposure to aggression such as watching or hearing parents fight contributes significantly to children later becoming violent and dangerous. Children are especially vulnerable. Child abuse, in all its forms including neglect, significantly contributes likewise. When mental illness is an issue, risk factors for violence and dangerousness include ADD-Attention Deficit Disorder, CD-Conduct Disorder, Personality Disorders, especially APD-Antisocial Personality Disorder. APD clusters high IQ, lack of respect for people and rules that protect people, lack of remorse for wrongdoings, and incorrigibility, the inability to learn from past mistakes. This is the so-called Criminal Personality. Recidivism, repeat offense, is the rule. The list of mental illnesses would be incomplete without including the schizophrenias, especially Paranoid Schizophrenia prone to delusions or false beliefs, such as persecutory delusions where the patient feels that someone is out to get him, or delusions of grandiosity where the patient has an air of superiority and often hyper-religiosity feeling a superior kinship with God and eternal entitlements, like the religious extremists and terrorists advocate. Paranoid Schizophrenics tend to have hallucinations, often auditory ones with command voices, ordering them to kill others and themselves. These people tend to be withdrawn, showing atypical affect, flat with little range or labile, jumping from laughing to crying in a moment. Major Depressive Disorders including Bipolar Disorder tend to present a sense of self-worthlessness, suicidal ideations, gestures or intent, and constitute a risk for violence and dangerousness. Finally the biggest risk among the mentally ill, apart from dual-diagnosis, is Substance Abuse and Dependency. People, who abuse drugs, especially in the context of having other mental issues, are susceptible to being violent and dangerous. Many people are dangerous and commit violent crimes under the influence of drugs. Regarding other dependencies, medical literature is undernourished, perhaps because of the newness of information technology obsessions and compulsions for digital killing games. An important risk factor is time spent in virtual space, electronically shooting into a throng and killing hordes of people. Many youths spend the better part of the day in virtual space as video gamers. This causes desensitization, and the child may enter an altered state of consciousness, as if he or she were under the influence of drugs, sleep, or a hypnotic trance. Another equally important influence is that youths spend time in virtual space at the expense of normal developmental socialization and everyday normal relationships. The mind is clouded. The behavior is automatic, done without thinking. The conscience is numbed, and the person is made prone to violence. Exacerbating all of these risk factors is easy access to lethal weapons. Although charming San Pedro Town, Belize restricts firearms, impulse control and anger management issues contribute to violence and dangerousness. Note the cases over the years where groups of conduct disordered teenagers with poor impulse control and lack of anger management have killed someone by beating them to death, right here in this country. Mental health like physical health demands moderation, a balanced diet, the proper amount of sleep, exercise, a transcendental cause that gives one purpose and meaning, social time and a deep caring connection to another person or other people, relative freedom from chronic and extreme stress, freedom from faddish extremes such as too much time spent in virtual space, and access to professional intervention when needed. Whether violence and dangerousness comes from nature, nurture, the interaction effect, that is a combination of the two, or from the supernatural realm of good and evil, we, who value the welfare of humankind, in order to obtain peace and justice for all, must go beyond medicine to inspire a sense of right and wrong, a personal code of ethics, a functional moral compass for each and every child. In simple words, watch your child. Care for your child. Monitor the type of games your child plays, and the amount of time spent on computer games. Teach your child the evils of alcohol and drug abuse. Teach your child to follow laws that protect people, and how to respect people. Ensure that your child spends adequate quality time in social and family interactions. Spend time with your child. Listen to your child and, most of all, show and tell your child how much you love him or her.